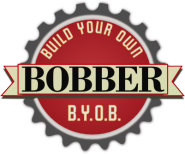 Have you built your own bobber, or are you working on one now? I’m looking to showcase some of the cool backyard bobbers out there. Send me some photos and a brief description (tech specs, etc.) and I may post your project here.